The ERDEM Autumn Winter 2018 collection is almost here. 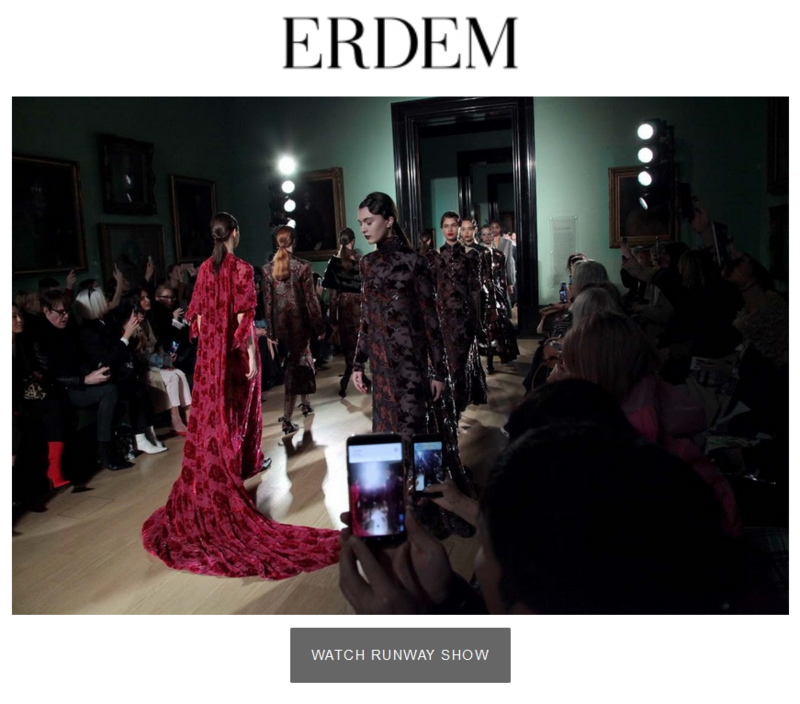 Be the first to shop new arrivals only available at Erdem.com and in our store, 70 South Audley Street, Mayfair. A collection inspired by dancer Adele Astaire, who left the bright lights of New York’s Broadway to begin a new life at Lismore Castle, Ireland. The shock of leaving behind a starred life for one of rural isolation conjures a sense of romantic bravery. Her clothes are a meeting of these two unlikely worlds: the glamorous, modern fashions of a stage celebrity combined with the heavy country styles of the noble aristocracy.